I have a poblano pepper and more on the way! So excited the blooms are no longer falling off! 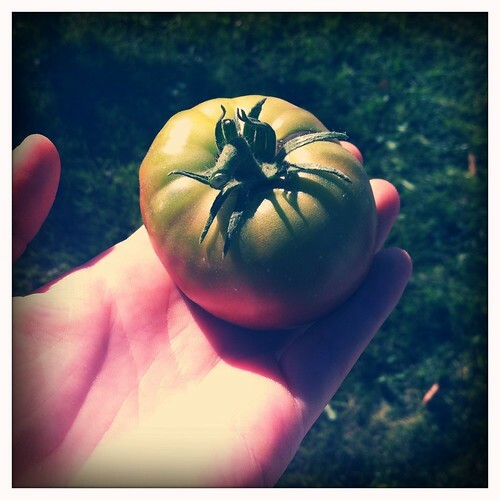 My first few tomatoes had blossom end rot and were kinda gross, but I ate a 'good' tomato last night (my first from this plant) and am pleased to say that Ananas Norie/Black Pineapple tomatoes are quite yummy. 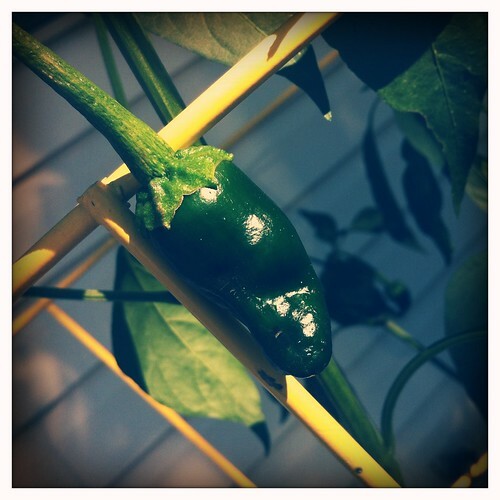 my first poblano pepper. 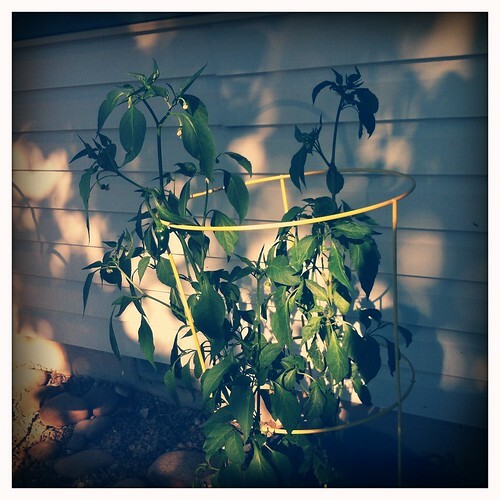 pepper plant. 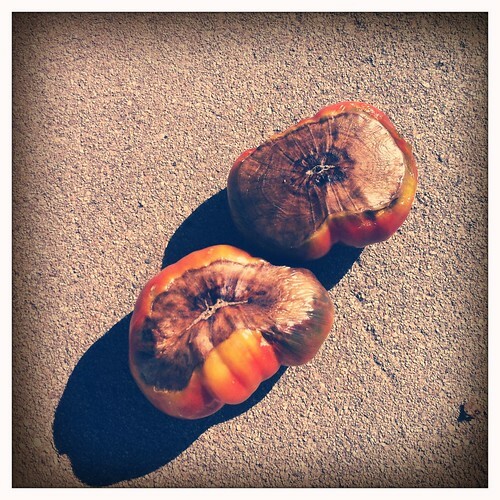 blossom end rot. good tomato. 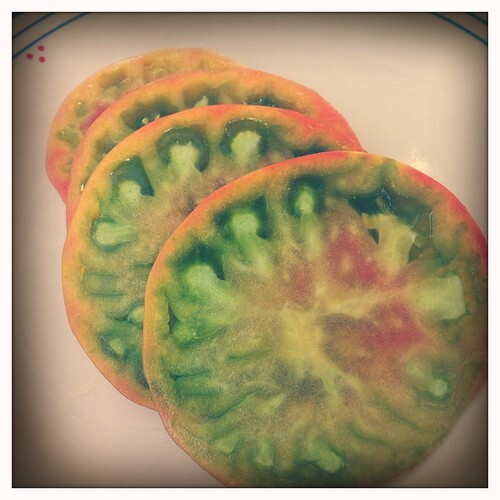 underripe and yummy.